Why Flea Market at Jalan Surabaya is special ? Antique market at Jalan Surabaya has been exist since 1974, and was officially opened by Ali Sadikin, the Governor of Jakarta at that time. Before the antique market was build at Jalan Surabaya, antique traders sold their goods by walking around Kota Tua Jakarta while carrying the goods on their shoulders to find people who wanted to buy from them. The current traders at Jalan Surabaya are mostly the second generations of the former traders who traded by walking around. 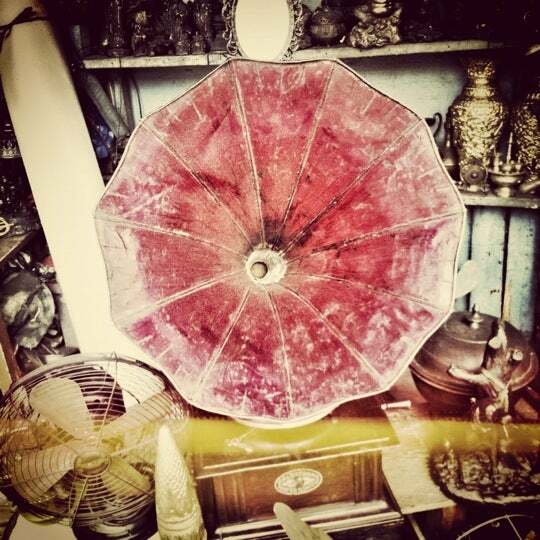 For those who loves antique you would find that this antique market at Jalan Surabaya is very interesting. 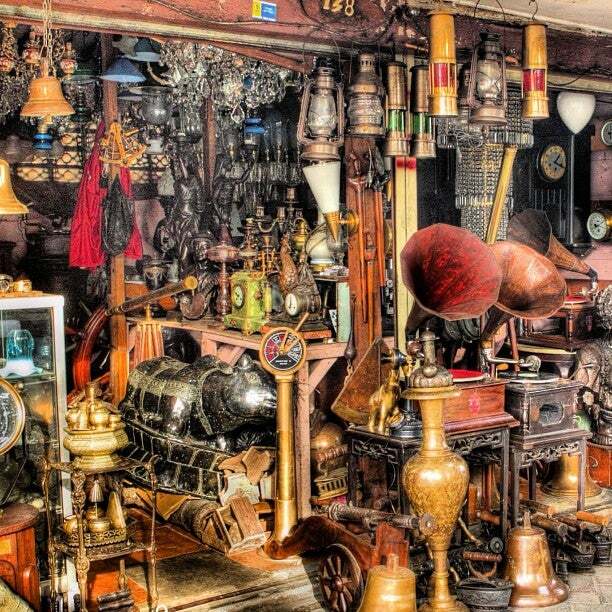 Antique market at Jalan Surabaya has been popular in Indonesia as well as abroad. Some of famous people that said to have visit the antique market were Mick Jagger, Sharon Stone, and Bill Clinton, the ex president of The States. 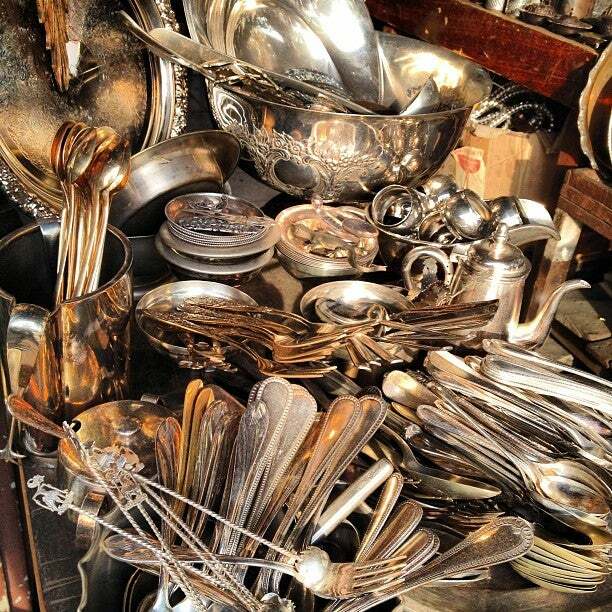 What to explore at Flea Market at Jalan Surabaya? You can see kiosks/shops that sell antiques like wayang, porcelain, wooden sculptures, mask, eating stuffs made of silver and brass, antique lamp, metal souvenirs, old fashion ornaments, old telephon, old carema, old woven cloth, phonograph record, and some others. One of the kiosks there is selling antiques of ship stuffs like ship rudder, compass, telescope, and old diving stuffs. At the antique markets at Jalan Surabaya, there’re some kiosk that specialized on selling bags and suitcases. There’re also kiosks that sell old books. Are you planning a trip to Jakarta? Check out popular trips from our experts. Copy and make it to your own plan. Customize it Now! Plan a trip to Jakarta based on your personalized interests. For those who don’t really understand Jakarta, it will be very complicated to reach Jalan Surabaya by public transportation. It’s better to ride taxi or bajaj. The best time to come is probably in the morning or afternoon, and preferably with a laid-back mood and plenty of time at hand. You need to bargain when you want to do transaction at the antique market at Jalan Surabaya. Do not forget to do price comparison between one shop to another. 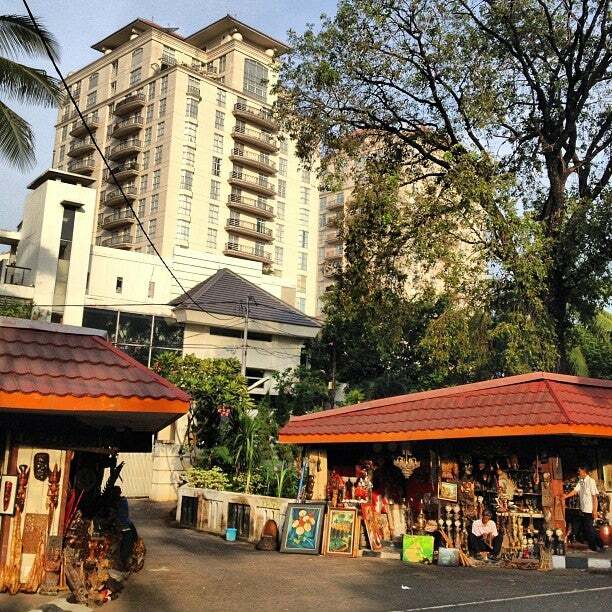 Jalan Surabaya is located at the most elite area at Central Jakarta, which is Menteng. It’s near to Jalan Cikini, Cikini Market, Cipto Mangunkusumo Hospital, Proclamation Monument, Situ Lembang and Suropati Park. If I had two hours to kill in Jakarta, the Jalan Surabaya flea market would be at the top of the list together with art exhibitions of local artists and Kota (the old colonial city centre). Don't get discouraged when all you see is plenty of cheap luggage shops when you enter the road from the &quot;wrong side&quot;, just keep walking until that stretch is behind you. It is a flea market with small shop-units that are open towards the road. Most are over-stocked and getting an idea of the range of goods on offer you will have to step inside. As usual for a flea market, there is plenty of rubbish but there are also always some veritable trouvailles: art, antiques, lamps, ship paraphernalia (real and replica), watches/clocks, wood carvings etc. etc. Some of the stuff sold there is genuinely old. If you go, make sure you first walk the whole stretch because you may find more than one of the same one-of-a-kind item and prices can differ not just by fractions but by factors! Drive a hard bargain. Friends brought my husband and I here for a stroll, and we didn't leave empty-handed! We bought 2 antique clay wine bottles for a fraction of what was selling on eBay, and 2 antique kris with lovely carvings and forging patterns. Just remember to check your home country's Customs restrictions and be on the right side of the law! ;) For Singapore, blades under 30cm are allowed without having to surrender them to Immigration and Checkpoints Authority. Just declare them at the red line at the airport and you'll have a really unique souvenir from Jakarta :-) Remember to bargain!! We got ours for 40% off asking price - maybe because my friends who have been staying here for a couple of years speak the language. I been to Sarinah Thamrin Plaza and Pasaraya mall before coming to the flea market and I was glad that I did not buy anything from the two malls until I got to the flea market. The prices at Jalan Surabaya was 75% cheaper than the prices at the malls. I was able to purchased wooden souvenirs that was also available at the mall for a fraction of the price. Haggling is a must at Jalan Surabaya and you are expected to bargain.A good eye and knowledge of the culture is a must if you are looking for an antique work. Many of the stores is not coy about trying to make it look old.Overall, its a single street with many stalls. No bathroom facilities.